Durban - Sharks Director of Rugby Gary Gold has named his team to tackle the Lions in a Super Rugby clash in Johannesburg on Saturday (17:05 kick-off). 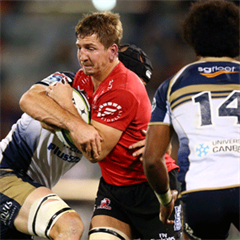 Lock Marco Wentzel will captain the side which shows a number of changes to the one which lost 52-10 to the Crusaders last week. The Sharks also welcome back two players from injury to bolster their ranks, with the fit-again Etienne Oosthuizen and Willem Alberts named on the bench. Odwa Ndungane has been named at fullback, replacing SP Marais who gets a rest after starting all eight matches to date. 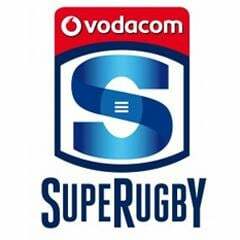 This sees the return of S'bura Sithole on the wing, with Fred Zeilinga replacing the injured Pat Lambie in the final change to the backline. Up front, there is an overhaul with Lourens Adriaanse, Franco Marais and Dale Chadwick packing down in the front row with Jannie du Plessis and Beast Mtawarira rested, while Renaldo Bothma replaces the suspended Jean Deysel in the final change. “Our performance this past weekend was unacceptable and we have taken full responsibility for the result and are determined to fix it this weekend,” Gold told the Sharks’ official website.